Pioneers in the industry, we offer beaded rosary chain, purple chalcedony rosary chain, dyed emerald chain, beaded cluster chain, 925 sterling silver chain and multi cluster chain from India. 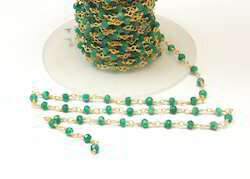 We are providing Beaded Rosary Chain products to our clients. 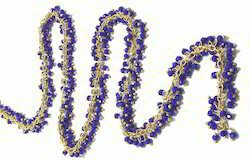 We are providing Purple Chalcedony Rosary Chain products to our clients. 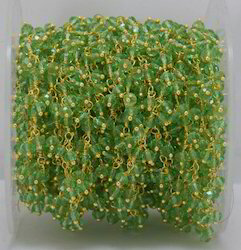 We are providing Dyed Emerald Chain products to our clients. 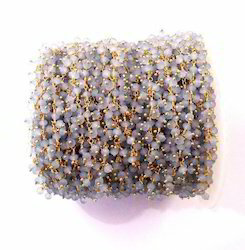 We are providing Beaded Cluster Chain products to our clients. Welcome to the 925 sterling silver jewelry, Sameer Art & Craft, Sameer art & craft is a silver jewelry company. We are Wholesaler, Retailer, Exporter and Supplier of Blue Topaz Cluster Chain, Beaded Rosary Chain, Dyed Emerald Chain, Sterling Silver Chain etc. We are providing 925 Sterling Silver Chain products to our clients. 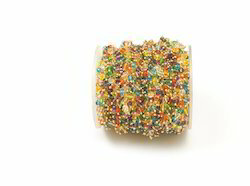 Price:- $ 4.99 Per Per Feet. We are providing Multi-Cluster Chain products to our clients. 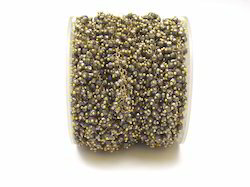 We are providing Natural Pyrite Cluster Chain products to our clients. 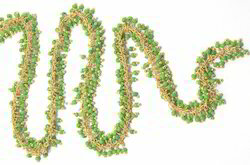 We are providing Multi Rosary Chain products to our clients. Welcome to the 925 sterling silver jewelry, Sameer Art & Craft, Sameer art & craft is a silver jewelry company. We are Wholesaler, Retailer, Exporter, and Supplier of Blue Topaz Cluster Chain, Beaded Rosary Chain, Dyed Emerald Chain, Sterling Silver Chain etc. 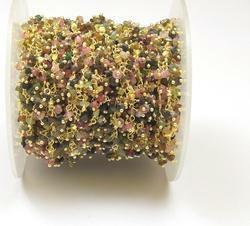 We are providing Multi Tourmaline Cluster Chain products to our clients. 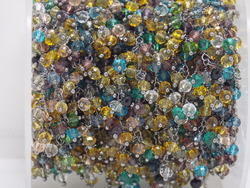 We are providing Phernite Beaded Rosary Chain products to our clients. 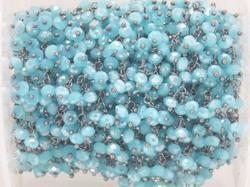 We are providing Blue Chalcedony Cluster Rosary Chain products to our clients. Price:- $ 5.5 Per Foot. 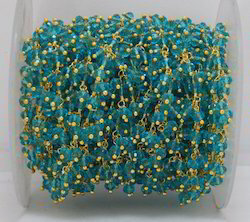 We are providing Blue Topaz Gold Plated Chain products to our clients. 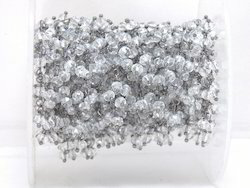 We are providing Crystal Beaded Rosary Chain products to our clients. 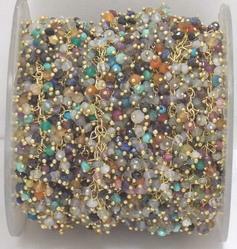 We are providing Multi Stone Rosary Chain products to our clients. 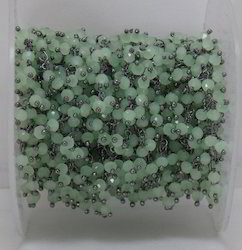 We are providing Green Onyx Beaded Rosary Chain products to our clients. 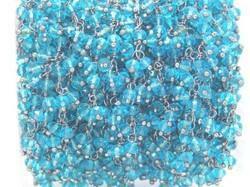 We are providing Blue Topaz Cluster Chain products to our clients.